December | 2013 | Does This Font Make Me Look Fat? 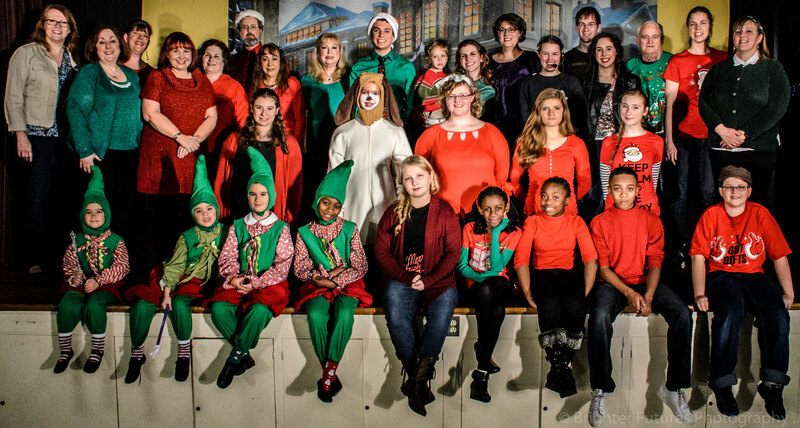 Below is the cast and crew of The LIberty Showcase Theatre’s production of The Santa Diaries. It was a wonderful show. Laura and I hope they were as happy with the production as we were. In this production there were a number of hiccups. One was replacing the person who was to play Josh two weeks before the show opened. Although this is a male role, the person who already knew most of the lines was the female music director who heroically stepped in to fill Josh’s size twelves. Josh became JoJo and there was some hurried rewriting of the final scene in which Will calls Brandeee in the middle of the night and Josh answers. Did we want JoJo to be in Brandeee’s bedroom in the middle of the night? This was a family show, after all. Even having Josh in her bedroom was a bit of a stretch, but lines were finessed and everything worked out just fine. The snow/sleet/rain hiccup on the show’s last weekend was more problematic. The Liberty Theatre website home page was amended with the announcement: 12/14/2013 – It may be snowing outside, but the show must go on!! 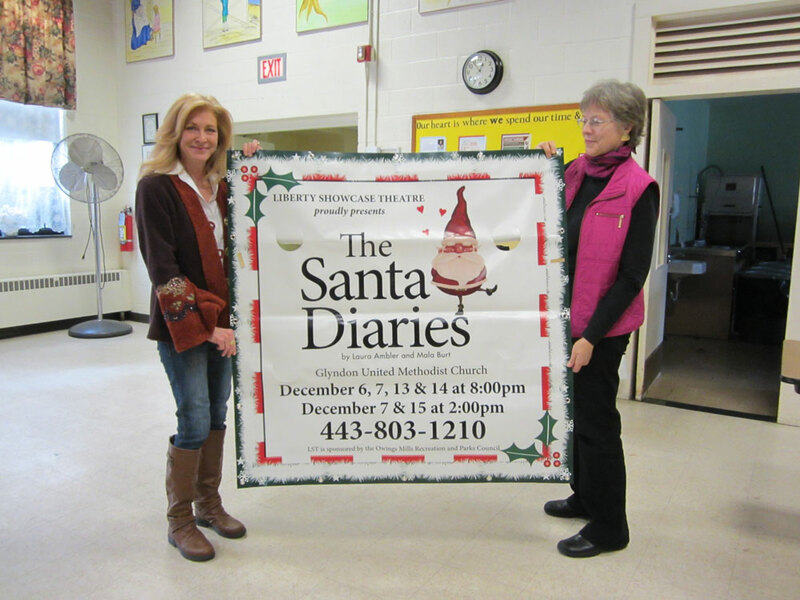 The Santa diaries will still be performed tonight at Glyndon United Methodist Church! 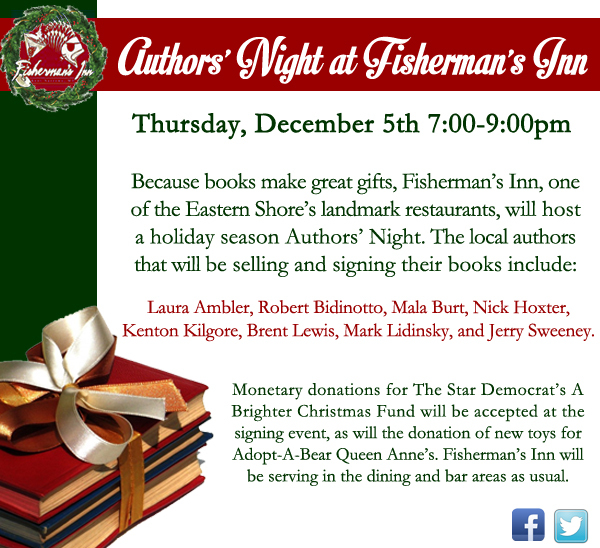 Come out and get in the holiday spirit!! People got the message and the cast performed to a full house. Last year at the Avalon Theatre the last show was on December 23. That was a burden on the cast and crew as it was so close to Christmas. The Liberty Showcase Theatre’s production ended on December 15 which gave people a little time to breathe before the last reindeer dash to the 25th. Laura was in the audience with her husband for the last performance. I was under the weather and couldn’t make it. We need to know how the play could be tweaked to make it better. What could be done to make it easier to stage? Liberty had a cast of about 25 as opposed to the Avalon’s cast of 65+. Most of those additional people were children which is its own special challenge, but when writing for community theatre it’s good if the cast number has some flexibility. You want to be able to showcase especially talented people and need to plan for that. Laura and I will have a post production meeting with the Director, the Assistant Director and the Producer after the holidays so that we can make useful changes to the script and notes that would help with direction and staging. Until then we send thanks and excellent Holiday Wishes to all the cast and crew. For now Laura and I are doing research on made-for-TV Christmas movies. We’ve watched eight so far and have twelve more in the line-up. We wanted to do this before we made the final tweaks on The Santa Diaries movie script. Is this a great job, or what?